Tips & guides are available on YouTube. reason to be carrying lock picks in a public area. 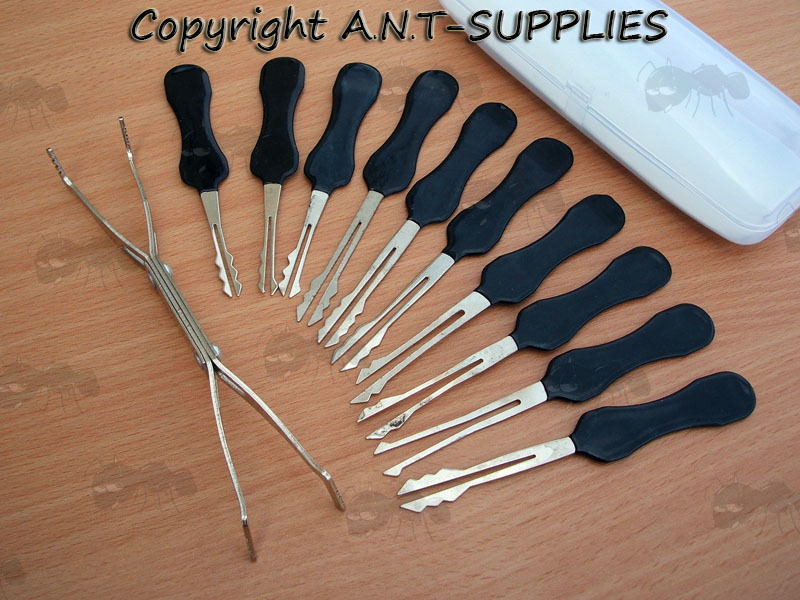 10 double sided wafer lock picks and 1 tension bar. DISCOUNTED: as they are in temp green cases with branding scratched off. One set available without tension wrench, at an extra £2 OFF. 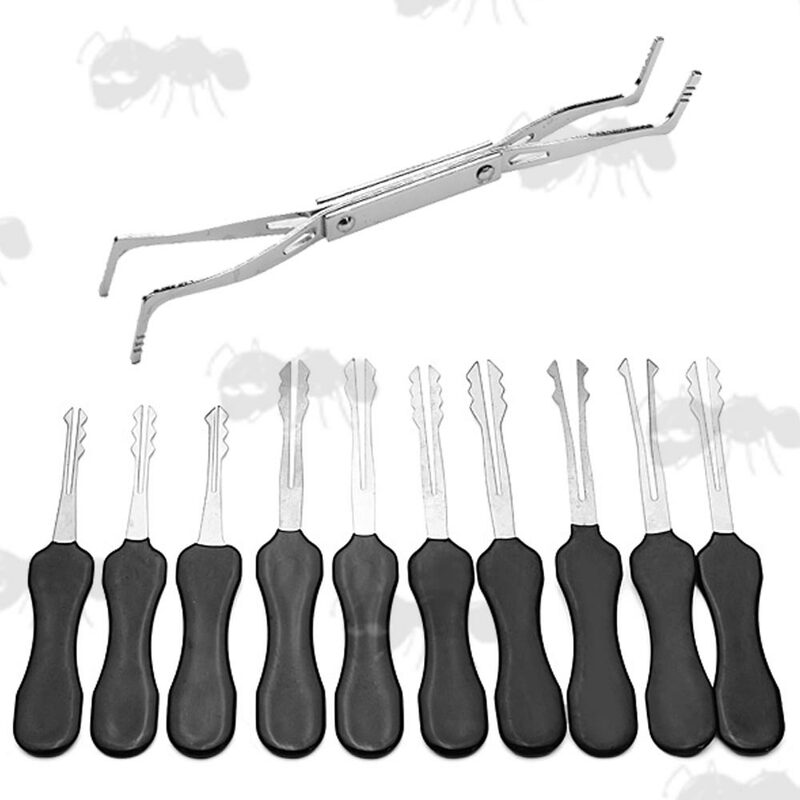 Ten piece auto pick set with wrench. 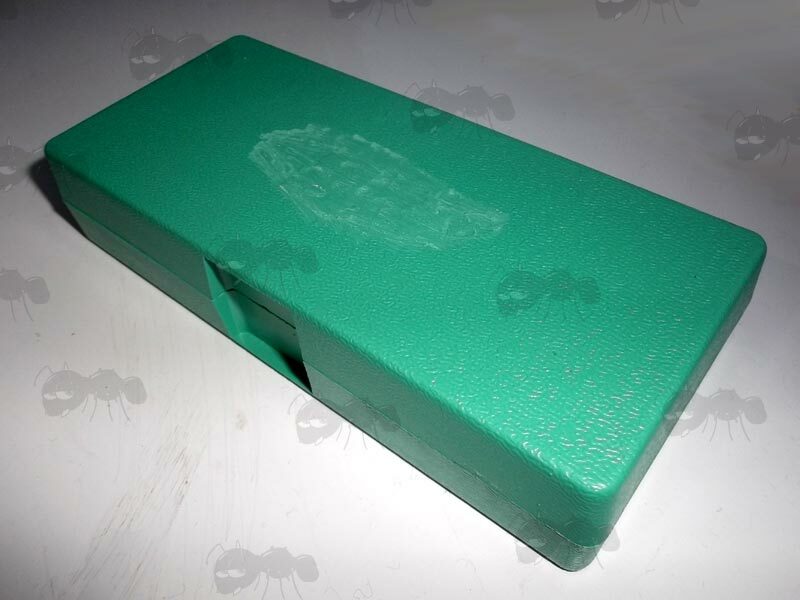 The handles are dipped not shrink wrap like other picks, they are the perfect shape and size. Also for desk draw locks and filing cabinets etc. Wafer locks are normally easier to learn on than pin tumble locks. A good selection of different styles. If you see this message, it means that your browser doesn't support iframes or they are disabled. You can access the information shown in this frame here: Lock Picks Product Scroller.